The Fred & Pamela Buffett Cancer Center project is designed to shape cancer care, research and education in Nebraska, the region and the world. 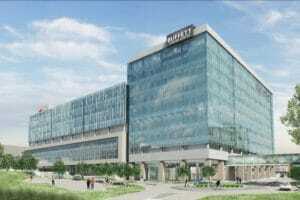 The Buffett Cancer Center (formerly known as the Eppley Cancer Center) received its National Cancer Institute (NCI)-designation in 1983, and is the only one in Nebraska to earn such distinction. It is also one of 14 founding members of the alliance of leading cancer centers known as the National Comprehensive Cancer Network (NCCN). 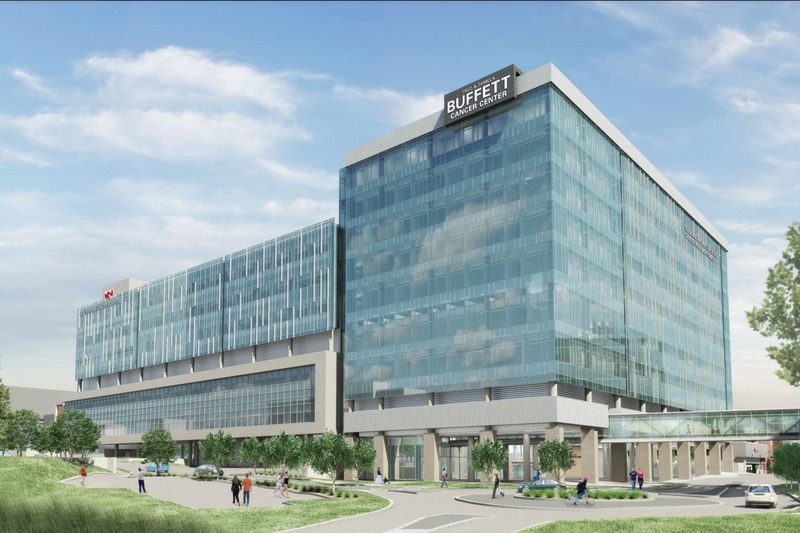 The Buffett Center coordinates cancer research, patient care, and education. Through four research programs, the center facilitates and applies the newest findings regarding the causes, diagnostic procedures, prevention, and treatment of cancer. Ten percent of the funds raised at each year’s Nebraska Cattlemen’s Ball will be distributed to deserving local organizations that provide healthcare, medical, and related services to the Nebraska communities that have helped organize the event. The Cattlemen’s Ball of Nebraska is a 501(c)(3) charity focused on ensuring that the money raised goes to cancer research and local health and wellness programs for which it is intended. Over the history of the event, the money raised has gone directly to cancer research and care programs in Nebraska. In 1983, the Fred & Pamela Buffett Cancer Center, was founded and, in 1999, became an NCI-designated cancer center. The mission of the Fred & Pamela Buffett Cancer Center is to coordinate basic and clinical cancer research, patient care, and educational programs, and to facilitate the application of new knowledge about the etiology, diagnosis, treatment, and prevention of cancer. Research at the Cancer Center is conducted in four Research Programs: Cancer Genes and Molecular Regulation, Molecular Biochemical Etiology, Lymphoma Research, and the developing program for Cancer Prevention and Control. Notable programs in research include the Center’s work on lymphoma and bone marrow transplantation, pancreatic cancer, and breast cancer. Clinical care is provided to patients at the Peggy D. Cowdery Patient Care Center and Clinic in the Lied Transplant Center on the UNMC campus and at the Village Point Cancer Center in west Omaha. Through affiliations with three NCI Community Cancer Center Program (NCCCP) centers, the Cancer Center offers new opportunities for clinical/translational research and provides patients in rural communities access to the Center’s clinical trials. In a move to expand cancer care and cutting-edge research to all Nebraskans, the Fred & Pamela Buffett Cancer Center has expanded its statewide clinical trials network to include affiliate sites at Nebraska hospitals and South Dakota. The Fred & Pamela Buffett Cancer Center is also a member of the National Comprehensive Cancer Network, an alliance that develops standards and sets guidelines for treatment. Multidisciplinary teams conduct research focused on discovering the mechanisms, which cause cancer to develop and then translate these discoveries into new approaches for early detection and new therapies for cancer treatment and prevention. In recent years, the Fred & Pamela Buffett Cancer Center signed a formal Academic Affiliation Agreement with the UNMC Department of Pediatrics and Children’s Hospital, which will provide enhanced access and increased accrual of children with cancer into clinical trials in the Cancer Center. The Fred & Pamela Buffet Cancer Center has also developed an affiliate network of hospitals and physicians across the state. The Fred & Pamela Buffett Cancer Center reaches out to the medical community and the broader public through a variety of education and outreach programs for scientists, clinicians, health care workers, future scientists and healthcare providers, and the general public. For example, the Cancer Research Graduate Program trains students in the latest techniques of cancer research, awarding a Ph.D. upon completion. Community outreach programs are educating the public on the importance of cancer prevention and early detection. At several annual events, the Cancer Center provides free cancer screening to Nebraska’s underserved populations. In 2013, as a result of a generous gift from Pamela Buffett, ground was broken on a new cancer center complex on the UNMC main campus, and opened in 2017. The Cancer Center complex features a 10-story cancer research tower, a multidisciplinary outpatient clinic that includes surgical, medical, and radiation oncology, an infusion center, a radiation treatment facility, and an inpatient cancer hospital. Please visit buffettcancercenter.com for more information.